Oh yeah, if you guys have any questions, feel free to add me on Skype or send me a PM. Skype would be the easiest way for me to answer anything fast, I'm normally on it all the time. ...Uh, don't forget to tell me what you need vertexed as well. Lucina's not a complete separate character, I'm sure. Well you were kinda right? From what Sakurai said I have a feeling she'll act the same as Marth except for the sword. Great job on both Sothe and Daraen, guys. Both look really good. ...Yo Vert, I hate to be that guy, but what's the status with Lord Ike? The one on the OP. What with Smash 3 Ike's latest release, I'm seriously dying to get cracking on a Lord Ike texture. 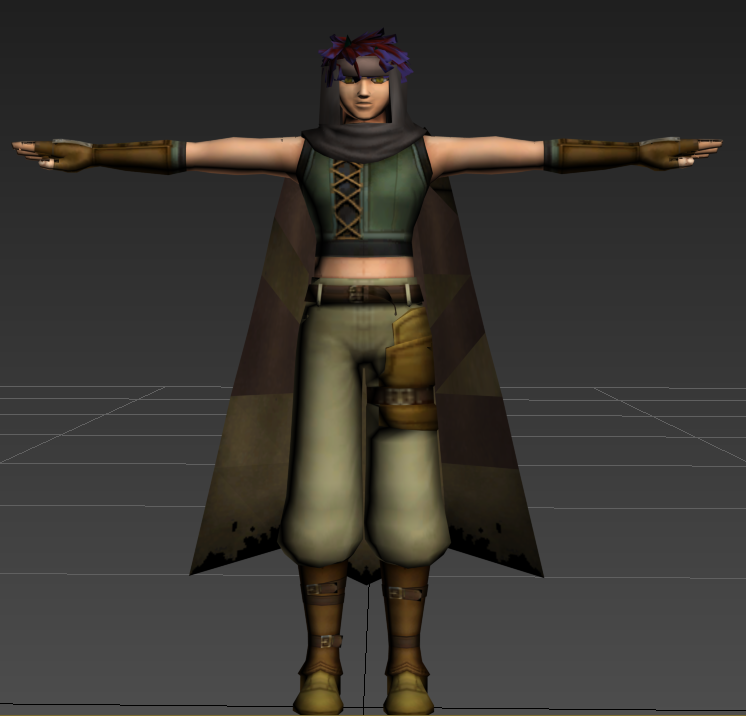 Problem is, I don't do imports and vertexing a proper Lord Ike is impossible. My first priority right now is to see the completed models imported (Both Radiant Dawn Ikes and Awakening Marth). I'd like to touch up Lucina and Hero Ike a bit though, considering I have better references now that the're both confirmed for Smash 4. If you get around to updating Hero Ike, let me know. I've been trying to do better textures for a better model but every attempt ends with no progress getting made. I do not see the problem with Lucina fighting like Marth. Her entire character is based on her being "female Marth". This makes a ton of sense as far as I'm concerned. Fact that she probably took a 1/6th of normal character dev time is icing on the cake. Great job on both Sothe and Daraen, guys. Both look really good.My first priority right now is to see the completed models imported (Both Radiant Dawn Ikes and Awakening Marth). I'd like to touch up Lucina and Hero Ike a bit though, considering I have better references now that the're both confirmed for Smash 4. Have you asked the PMBR about using your models as alternate costumes for their next release? It would be a neat surprise if the team would be able to work on it. 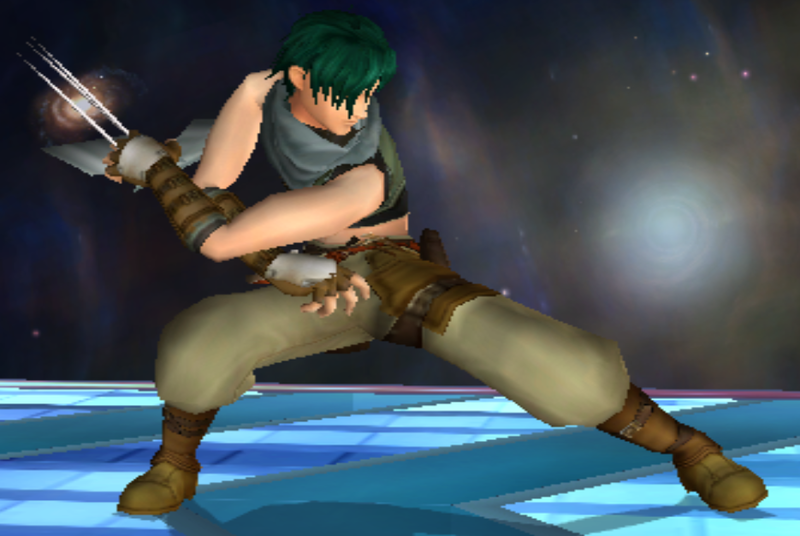 Here's my second version of Sothe, from Radiant Dawn. Scarf is rigged to Sheik's ponytail. I might go back AGAIN and work on the scarf. But for now, I'm content with what I've done for him. I can concede that Lucina can arguably be considered the main character, or at least they co-star equally. Kind of like an Ephraim/Eirika - Alm/Celica - Lyn/Hector/Eliqood deal, (though I'd call Eirika, Alm and Lyn the real stars). But for Avatar... eh. I understand he qualfiies as a reasonable candidate, for technically being the antagonist of Awakening. But to me, this is an issue of priority. While there's some room for debate between Lucina and Chrom, putting in Avatar before Chrom was just inexcusable in my mind. In fact, so many better FE reps could have been chosen, nevermind Awakening. 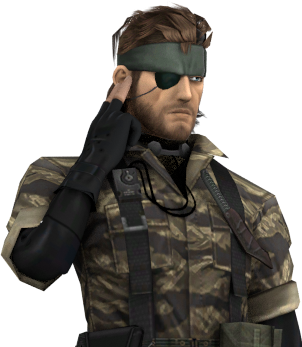 It could be argued the Avatars from each game constitute different characters, too. Ana is a reoccurring character too, haha. But I'm being nit-picky. I wouldn't be pissed if Chrom/Lucina appeared as a joint character, as Alts, and had a unique moveset. Than I'd honestly have no problems with Avatar at all. Actually, not only is Avatar NOT the main villain (an alternate version of himself is but it is not truly him) he is also essentially the whole reason the plot goes on and is just as much as a main character as Chrom. 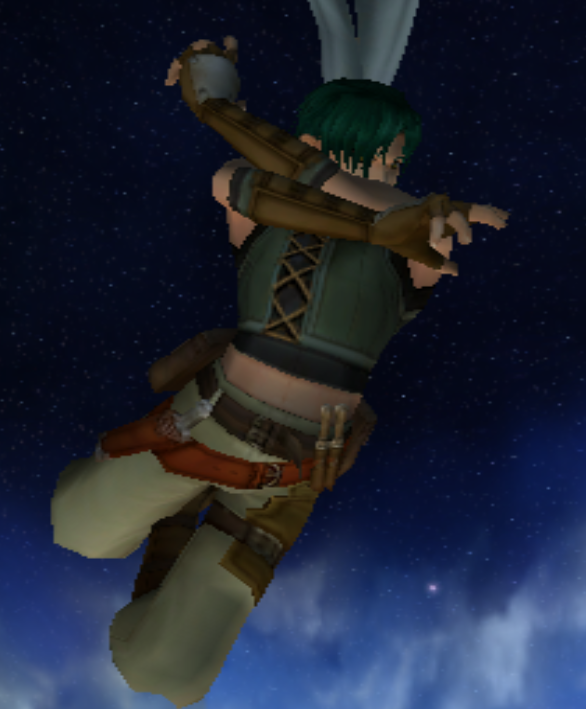 Robin had the same amount of screen time as Chrom(if not more), had more moveset potential. Along with that, Robin had more character (he has a support with every single character in the game and that alone helps you learn more about him), more moveset potential (swords and magic), and if Sakurai really wanted to go that far, more customization. I will not say Robin deserved it more Chrom because that is debatable, but take it from me (someone who has played Fire Emblem Awakening enough times to get 98% of the supports plus all of the DLC). Robin absolutely earned that spot on the roster. Also, due to Lucina's nature and character introduction, she is the third main character of the game. Believe it or not but Basilio and Flavia have just as much screen time as them but she has more impact on the plot. And even then, she doesn't compare to Robin and Chrom. WITH THAT SAID, I love all of the work that has been done in this thread and I really want to see what is done to that Robin model. Cheers! Luckily I only read the first few words of the first sentence before scrolling to the bottom of the page. They're called SPOILERS tags for a reason. Is there an Anna import yet? I really want to put Anna over Roy. I don't have the time to go through 69 pages. Please and thanks. A design me and Shun are working on. 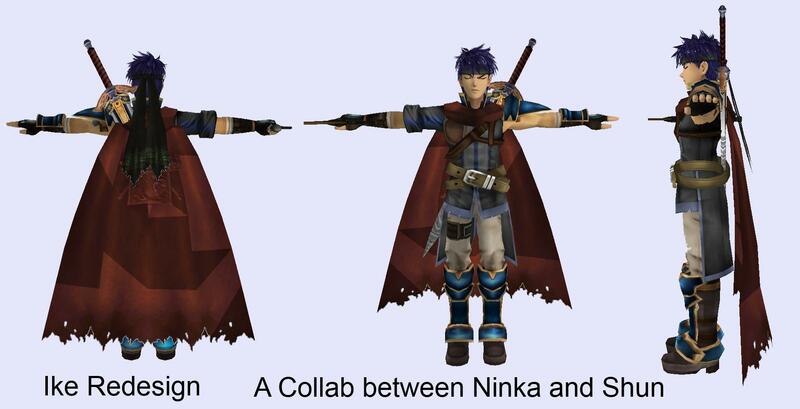 Essentially we were striving to mix Ike's Ranger design, and Ike's Hero design. I did most of the model edits while Shun drew up designs as well as did tetures on certain parts. Overall I'm happy with how it turned out, but I'd love to get more input on the design and would be interested in any ideas anyone else has for it. So Awakening Marth 2.0 is still in hack purgatory? I think so. It only needs to be rigged to Marth's bones, but since I don't know how to do that, I need another one who does it for me.